XPO wants to hire 8,000 workers this holiday season; are there enough campers for Amazon to meet its own seasonal needs? The XPO announcement shows the size of the needs for this holiday season. Although Amazon has not announced its hiring plans for this season—the announcement last year came in October, though there are jobs posted online already—just the 2017 number alone of 120,000 shows the breadth of the workforce needed this year to make logistics run given the rise in ecommerce. That 2017 number for Amazon was double what it was in 2016. If Amazon increases the same 20% as XPO, off the 120,000 base of 2017, its seasonal hiring will rise to 144,000. “We expect to add 8,000 seasonal jobs before November, a significant increase over last year’s holiday hiring,” Troy Cooper, the president of XPO Logistics said in a prepared statement. “Our modern warehouses are filled with automation that is an attractive choice for workers and helps us to be as productive as possible for our customers." 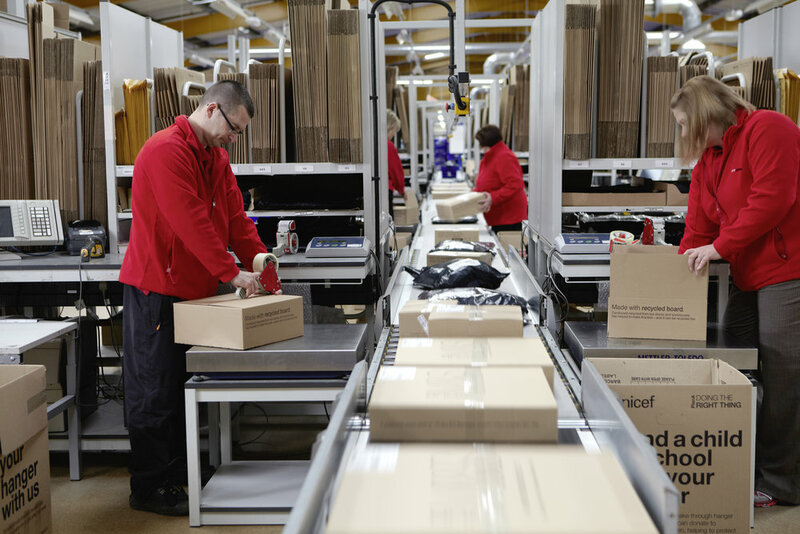 In its most recent 10-Q report, XPO estimated at had more than 97,000 employees. Earlier this year, it said the growth of its “supply chain network” in North America had created about 5,000 new jobs. With last-mile and ecommerce putting ever-increasing demands on the logistics network, it’s important to ask: in a job market of 3.9% national unemployment, 50 basis points tighter than a year ago, where do companies looking for thousands of seasonal workers find them? Just about the time last year’s seasonal hires went to work, whether they were at Amazon, XPO or somewhere else, the book Nomadland was published. It is a fascinating read about the often unseen legion of people who craft a small living jumping from seasonal job to seasonal job, whether it’s flipping burgers at baseball spring training in Arizona, cleaning toilets during the summer at a national park, or working in any one of the numerous Amazon distribution centers. Many of the people in the book consider themselves “houseless,” not homeless, pulling their “residence” behind them from job-to-job. According to the book, Amazon views this network as a rich source of seasonal workers, and many of them return repeatedly. Amazon calls its program to recruit them “CamperForce,” and the program involves not just employment but Amazon-provided campsites. It also provides a job that is not easy. Amazon CamperForce workers, from the group’s Facebook page. While the work is portrayed as difficult, with wearable step-counters recording some workers walking as much as 15 miles in a day, Amazon also touts the social aspects of the job to which many of the people in the book portrayed similarly as an extended family, albeit one that disperses when the season is over. The group does have an invite-only Facebook page. (Here’s a comment from the page: Oh my the years have rolled by so fast. I am now on my 6th year at AMZN. Love it to have extra money to travel or whatever! Not to mention no camping fees for a few months. Fun money! Thank you AMZN! In a news story at the time of last year’s Amazon seasonal hiring announcement, one news outlet wrote that “Amazon says thousands of people in these short-term jobs always wind up converting to full-time, regular positions with benefits including health insurance.” But in the book, it tells the story of one of the CamperForce employees being offered full-time employment at the end of his stint, and his fellow workers viewing it as nothing short of a miracle. But the book wasn’t written when the unemployment rate started with a 3-spot; its research was done over several years, going as far back as 2011 which in terms of the job market was a lifetime ago. The leverage of job-seekers, particularly at lower pay levels, has risen considerably. A spokesman for XPO said the company does view its seasonal hires as a pool for finding new full-time employees. In this holiday season, it’s reasonable to assume they’ll be playing a key role in ecommerce and last mile.